A diabetes test is probably a good idea if you think you’re at risk. But most people don’t think to have their blood sugar checked and assume that type 2 diabetes is really just for older people. Not true. In fact the prevalence of type 2 diabetes in the US is expected to balloon to 5.2% of the population to 17.4 million people by 2020 according to the American Diabetes Association. There are 3 ways that a doctor will diagnose type 2 diabetes. I will discuss all 3 approaches and let me point out. A test should be done twice to confirm diagnosis of diabetes. 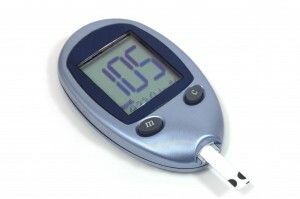 Diabetes is essentially blood sugar levels above normal levels. When things are normal, your blood sugar doesn’t go up that much. When there are issues blood sugar levels rise uncontrollably. Fasting blood glucose test – This is usually the test that a doctor will look at when you come in for a physical exam and you are asked to fast for at least 8 hours. Normal blood sugar levels for a fasting test are less than 100 mg/dL. A fasting blood glucose of greater than 126 mg/dL indicates diabetes. Fasting blood glucose >126 mg/dL. Oral glucose tolerance test – this is a test where a patient is given a 75 gram of glucose load in a liquid solution. Blood is then taken two hours after the sugary drink and measured. Normal blood glucose levels are <140 mg/dL. A blood glucose of >200 mg/dL during the Oral Glucose Tolerance Test indicate diabetes. Oral Glucose Tolerance Test >200 mg/dL. This test isn’t used as regularly as the other two tests. It gives a doctor an idea of how a person’s body responds to a glucose challenge. Casual or random blood glucose test – This test can be given at any time and is usually given if a person shows classic signs of diabetes such as excessive urination, extreme thirst, extreme hunger, or blurred vision along with other symptoms. A random blood glucose test of greater than 200 mg/dL indicates diabetes. Random Blood Glucose Test >200mg/dL. Testing is very important when managing diabetes. With a good idea of where your blood sugar numbers are, necessary changes can be made.